Hello friends. First of all, my apologies if there is a higher than normal amount of typos in this post. I'm having some carpal tunnel issues and am using dictation software these days to write. I'm still getting the hang of it. Describe your perfect writing space/retreat. Do you need hustle and bustle or peace and quiet? Coffee shop or secluded cabin? There was a time when I had a very specific answer to this question. However, like all things in my life, that changed once I started writing full-time. First of all, there is a difference for me at least in a writing space versus a writing retreat. Today I will talk about retreats. Ahhh, the glorious writing retreat. I've had experiences with formal retreats, complete with mentors and readings. And I've also witnessed the benefits of a small writing retreat surrounded by your closest writing friends. For both of these I want the same thing. No Wi-Fi. I can't stress this one enough. If I'm taking time away from my family to write, then I cannot be distracted with easy access to Facebook, Google, and YouTube. An outdoor space where I can walk or sit and think. If the weather is good, I also like to write outside. A body of water is always inspirational, but I don't care if it's an ocean, a pond, or a river. an added bonus for me is a like minded group of writers who find writing sprints beneficial. what is a writing Sprint, you may ask? It's when we set a fixed amount of time to concentrate only on our writing, and when were done, celebrate as a group how many words we have managed to write. I love a series of 25 minute sprints with five minute breaks, challenging ourselves to really get in the zone. This is something specific to retreats. I find sprint's are not as useful in my day to day writing. I also like to be warm when I write. So a wood stove if it's a winter retreat (or a retreat anytime of the year in Newfoundland) is always a bonus. I think that sums it up. Once upon a time I would be sharing pictures of scenic retreats. Perhaps a whimsical cabin or swanky hotel outside the city. But now I think more practically. Having been on several retreats that have been hugely successful, it's helped to refine my wish list. Now on to the rest of the hop. I'm really curious to see what Carrie Elks will have to say. She is in England, a place that I would love to go retreat to. If you inherited a bunch of undeveloped land, what would you do with it? Well, Jenna, what a timely question. Hubby and I are always talking about what we'd do with land. We have many idea, which run the gamut from building our own Heart's Ease Inn (yea, Elsie's inn in my Heart's Ease series) to starting a tiny house community for all our friends. However, those both seem like ideas that would require not only the inheritance of a lot of land, but a ton of cash to go with it. And of course, feel free to tell me your answer to the question in the comments below. The first time he called her his girlfriend, she nearly drove off the road. The first time he met her parents, she hustled him out of the house. And the first time it dawned on her she might be falling in love, she thought it was time to break up. Vicki doesn’t want a boyfriend. And she certainly doesn’t want one who remains friends with his exes. “When we break up” becomes her catch phrase to him, warning him that good things do come to an end. 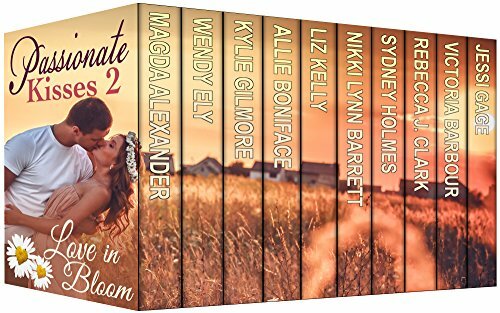 So imagine her shock when one night she says, “If we break up.” For ever-patient, ever-loving Reg, that one little word becomes a sign that nothing is inevitable, and maybe, just maybe, he has a chance of keeping the kooky woman who’s playing with his heart from giving up on a once-in-a-lifetime love. And because I’m a romantic, I’ve made a cover out of our engagement photo. Yes. This is the actual moment that my darling husband, the most supportive fan I have in life, asked me to marry him. Oh, and the final question. Why is Reg an amazing romance hero? Well, he’s cute, of course. Don’t get me started on his blue eyes. But more importantly, he believes in me. Find me a woman who doesn’t love a man who has 100 per cent faith in her dreams and is willing to support them, and I’ll eat my words. But there’s nothing sexier about a man than his willingness to help the woman he loves make her dreams come true. Now let’s go see what the wonderful Kathryn Renard has to share with us! I can’t wait to visit everyone on today’s blog hop!!! What did you Google? The internet is an invaluable research tool for writers, but sometimes we google some searches that would raise more than a few eyebrows if seen out of context. So this week, 'fess up on what the strangest thing you've googled, and then explain why you were grubbing around in that particular search string. Since I don't write suspense I haven't had to search anything particularly gruesome, but still, I've searched out some things I never thought I would. Yup. While writing Hard As Ice this was a particular concern of mine. And yes, I google fully formed questions. I don't know why. It's like I expect Google to answer my question. Anyway, the answer was yes, and so Jack and Daphne were in the clear. Yay! I've googled a lot of things, but this stands out in my mind today for some reason. I wish I could remember more. But this does give me an idea for a new weekly blog post. I'll start saving some of them and sharing them. Now on to Dani Jace to see what she'd searching. I have a feeling it's going to burn the socks off me cause she's hot! This week I had the chance to devise our weekly blog content, and I'm in the mood to play. Since getting us all onboard for a rousing evening of Dungeons and Dragons isn't likely, I decided to challenge my friends at Romance Writers Weekly to a game of Would You Rather... with as much or as little explanation as desired. 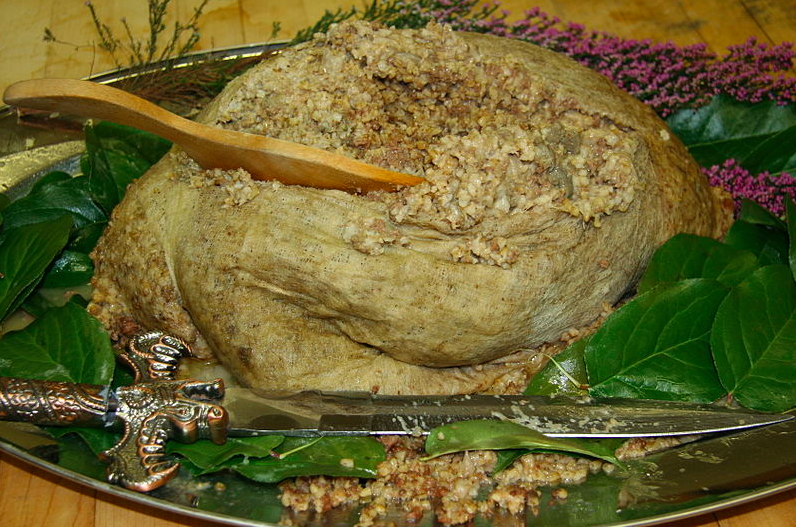 HAGGIS! By a kilometre. By a mile. By a landslide! Since I've eaten haggis before, and enjoyed it, this is an easy one for me. But honestly, even if I hadn't eaten this scrumptious Scottish treasure already, one thought of bugs would have me gagging on the floor. SCUBA DIVE! In case my choice of images hasn't made it clear my feelings on both. Look at the nice serene underwater world, and the terror of tripping in some killing device and dancing from a plane at a gazillion feet above the universe. TIE! Sorry. I can't choose. When I started doing this, I thought I knew. Red headed. I mean, I thought "red haired hottie" and bam! Kevin McKidd sauntered into the picture. But then I went looking for blonde hunks, and there were so many to choose from. Brad Pitt is my favourite blonde, but all the awesome images of him were crazy or black and white. Then there's Charlie Hunnam (who I think got the Sons of Anarchy look from Brad Pitt, but I digress.) And Ryan Gosling. Oh my. So many blondes to choose from. So it's a tie. Would you rather - no reviews or all three star reviews? THREE STARS! A review is a review, as far as I'm concerned. It means someone read something I wrote (yay! ), and took the time to tell me, and the world, about it. No reviews leaves me feeling worse. Is it terrible? Is it just okay? Did anyone who bought my book even read it? No. Give me a review anyway. If it's bad, I can learn from it. If it's good, I can learn from it. And if I have a bunch of three star reviews, that tells me I have a lot to work on. And that's the power of reviews! 10 BEES! I have a hard time believing I even asked this question because I am TERRIFIED of things that sting. Wasps are evil. And bees, well. I'm coming around to bees. My husband wants to get honey bees in the spring and he's made it his mission to educate me on bees. Crap. I think I have to change my answer. Because I know if I bee stings me, it will die. And bees are in trouble. Which means humanity is in trouble. 1 WASP! So damn it all. I have to let that terrible, burning evil Wasp sting me. 10 times. I'm dying a little as I type this. Someone please be standing by to kill that sucker when it's done. And then bring me to the hospital! And there we have it! The game is complete. Buzz on over to Teresa Keefer to see her answers. I have to admit to enjoying these types of blogs, where we get to know our friends and favourite authors a bit better. Feel free to play along in the comments and share your choices! My guilty shopping pleasure I actually don't act on regularly. Mainly because it's an expensive one. But recently, when I was in New York City I indulged in this beauty! The Cross Botanica Green Day Lily pen with a fine gold nib. Plus a new jar of ink, which is a dark smoky purple. Yes, my name is Victoria and I am addicted to fountain pens. I love choosing my ink and slowly filling the converter with my desired colour. I also like to see how long it takes me to have to refill. Refilling your pen with ink is a good sign of how much writing I'm doing. Not that I write my novels with a pen, but all my notes are written by hand with this delicious pen. My second guilty pleasure wasn't at all guilty in the beginning. But having a child and a busy work-from-home career makes this decadent now. Ahhhh, the bath. The hot, steaming, bubbling bath. My bathroom is my oasis. I have the best tub in the universe and I use it every chance I can get. Hiding away in my pale pink bathroom, soaking in my deep tub, reading.... ah, there's no greater pleasure one can have alone. And there you have it. Two of my secret pleasures. Let's hop on over to see what Tracey Gee has to share with us today. I bet it's sinful! Ah, fall. Time to get back into the swing of blogging. Thank goodness I always have the fine ladies (and gent!) of Romance Writers Weekly to give me inspiration. A big thanks today to Kristi Rose who posed today's questions. If you've come here directly from her blog, welcome! Now let's get on to the good part. Kristi has four questions for us today. 2. If your life was like Seinfeld, Buffy the Vampire Slayer, or Golden Girls, what character would you be? I'm going with the Golden Girls here, and I'm going to be Rose. I like people to be happy. I don't mind if others laugh at me. And I'm proud to come from a small place filled with large personalities. 3. Who would win a fight between Chuck Norris and MacGyver? Ugh. I don't get this Chuck Norris thing. Absolutely MacGyver. Brains over brawn any day. 4. Would you rather be bald or have a huge mullet for the rest of your life? Hahahahaha. This is a funny question. I'll go bald, since then I can choose from any number of wigs. Plus, for half the year, I'd need a hat to keep my head warm. And there you have it. Short and painless. I'm in the middle of writing a new project (can't wait to flush it out and tell you all about it! ), so I'm keeping the answers to the point today. Now, hop on over to the lovely A.S. Fenichel and see who she'd like to be. I honestly can't imagine me "walking up" to any place that requires music (I've already gotten married so that's taken care of). So I'm doing a little creative interpretation of the question. Because for me, "walking up" in the professional sense means sitting at my keyboard and feeling the groove to write. Alas, this means multiple songs, because I'm very much inspired by music. But it depends on the piece I'm working on. I'm currently working on several projects but the two that seem to be the most greatly impacted by music are Alpha Wars and the fifth book in my Heart's Ease series. So that's what I'm sharing today. First up, my alter ego, Hannah Hunter. I'm loving this series about Irish shifters, especially the bad boys. I'm a die hard traditional music fan, so when I started thinking about the Faoladh and the Conroicht, I had no trouble imagining big burly men who love to lift a pint and sing sad Irish songs. Here's a song I've listened to a lot while writing this one, sung by The Navigators, one of my favourite Newfoundland bands. I'm positive I've posted this before, however, nothing has changed. I was driving one morning listening to Newfoundland's own Tom Power who graces our national radio program, CBC's Radio 2 Morning. And on comes this song by Whitehorse. Bam. My hero came to life as I listened. I mean, come on. "I'd don't have much, but I've got the good stuff." That lyric sums Will Walsh up to a T! It's my power anthem for this book, without a doubt. And because this book is starting to take up a lot of my headspace, it gets two songs! "I don't know where and I don't know when, but I know we'll be lovers again." Atta boy, Passenger. This is Will's softer side. The side no one sees but our heroine. So there you have it. My "walk-up" songs. Now let's go see what my friend Betty Bolte has chosen. I'm always stoked about musical posts. I mean, come on. Romance writing and music? What a perfect combination. Also, if you've read something by me and think you know a song that sums up the feeling or mood or whatever, feel free to share it in the comments. Which person living, dead, a relative or a stranger has had the biggest influence on your life/writing career? Tell us what he/she was like or how they shaped you. This is a bittersweet post for me to write, and for those of you who have followed along with this blog since the beginning, I'm betting you already know the answer. It's my grandmother, Elizabeth Barbour. Part of me feels bad for singling her out, where I'm blessed to have so many wonderful supporters, especially my parents and my husband. But this is first and foremost about my writing career and how that person shaped it. And I believe that I wouldn't be a writer if I wasn't a voracious reader. And I KNOW for a fact that I wouldn't be a romance writer if it weren't for my grandmother. Remember the lady-like comment? This is at my sister's wedding shower. Although we didn't know it yet, we were only going to have her in our lives for another four months. And she rocked this game of walking with a book on your head. I forget how many steps but it was in the hundreds. As a little girl, I loved to read. My parents would often tell me to put down my book and go outside. But not my Nan. Nope. Many a lazy day was spent with her reading. Oh, we did other things. She taught me to cook, and to crochet, and to fish, and to garden, and to wrap presents. Some of these things I've become decent at, others passable, and in the case of wrapping presents, well, I remain deplorable. She also taught me to be kind, to listen, to be ladylike (when the moment suited), and to think. I grew up next door to my Nan, and we spent a lot of time together because of that. As we all got older, she and my grandfather started spending more and more time at their house around the bay. I'd miss her a lot. But then I'd get to make the five hour drive and spend a week there as well. And that's when the serious reading time kicked in. Here's how a day would go with Nan, especially after my grandfather passed away, and it would be just the two of us there for a week-long stretch. I'd wake to the sounds of her moving around the kitchen. Maybe the washing machine would start. Or the pump would kick in. Sometimes it could be the flush of the toilet that first stirred me. But then I would lay in bed and listen to her moving around. My bedroom, because even though she had three granddaughters, as the eldest I always considered it mine, was at the top of the stairs. I love those stairs. They're wide. I bet three people could walk down them at the same time if you wanted. I'd sit on the top step and watch her. Most times, she'd already be sitting in her favourite chair by the big picture window overlooking a long white fence rimmed with the most beautiful flowers and a bird feeder that was home to squirrels as often as birds. Those squirrels drove her mad. But she'd be sitting there, a steaming cup of tea on the table beside her, reading. I'd come down, and sit in the opposite chair. Sometimes I'd have a book already started. If I didn't, she'd have a new one laid there waiting. If I'd finished a book the day before, maybe late in the evening, she wouldn't get me a new one because she knew I'd stay awake reading. I did that regardless, because my room was filled with stacks of Reader's Digest magazines which I worked my way through when there was no novel in sight. So what would she put out for me to read? Catherine Cookson was both of our favourites. I think I started with The Moth. And then the Mallen trilogy. The Black Velvet Gown. I might have been in grade eight, nine at the latest, when I was vacationing with some aunts. We went to the corner store and I bought The Parson's Daughter to read. It had a stunning red cover, and must have been six or seven hundred pages long. They didn't really approve of my book choice, but there it was. My first Catherine Cookson purchase all on my own. But she also got me into historical books. Jean Plaidy was a favourite of mine. And from time to time, she'd give me a romance. But I digressed for our day. And today, with the sun shining, and my coffee in a cup she gave me, I want to relive one of our days. I beg your indulgence. So we'd read for a while, and then have breakfast. Then we'd read a bit more. Maybe we'd go for a walk, or putter around outside cutting splits or bringing in wood for the stove. I'd hang out laundry, which I hated. But now do faithfully. Sometimes a friend from the bay would come over. I had three: two boys and a girl. And while I'd love playing with them, or as I was a teenager, flirting with them, I also couldn't wait for them to go home because I wanted to get back to my book. Between 2:30 and 4:30 it was time for the stories. All My Children and One Life to Live. They weren't my stories. I preferred Days of Our Lives and General Hospital, but those required a different channel, and the reception was terrible. Only the shows on CBC came in clear. If I wasn't outside with my friends, then I was inside. That's when she'd have me practice my crochet skills. Once my pinky would cramp up, then I'd pick up my book, grab a snack and hide away outside to read, if the flies weren't atrocious. Or it wasn't raining. Or snowing. In the evening, after supper and washing up, we might have a game of cards. Or watch a movie on VHS. She loved oldies, especially musicals, and therefore, so did I. She would buy up so many copies of bargain classics when she would be in town for the winter that we'd have dozens to choose from, often still unwrapped. And then, before bed, more reading. I didn't mean to dwell on a day so much. I wanted to tell you more about her, but I got caught up in reliving a moment in time. In a few weeks I'm going back to her place, which my aunt now has. I'm going back with two writer friends and we're having a writing retreat. I can't imagine a better place. I've only been there once in the nearly six years since Nan passed away. As a adult my grandmother became one of my best friends, and I miss her terribly. I rarely wrote when I was with her. Writing is what I did on my own, at home. When I was with her, I was learning how to write better, by reading and talking about characters and story and setting and what compelled us to keep turning the page. Because as any true book lover knows, when you find that perfect reading companion, you do more than read. You share sentences or paragraphs that hit you. You talk about what makes a book good. Why you love one more than the other. And we did that. The first time my grandmother met my now husband, I had insisted he had to come down the bay and meet her. I knew I had strong feelings for him. We'd been dating for maybe four months. I needed Nan to meet him. After the first day, I overheard her telling her friend, "Vicki's found the perfect man for her. She curls up on one end of the sofa reading, and he's on the other end reading. They're meant to be together." There's so much more I could say, but this is what matters. This is what lives in me. There's not a day goes by that I don't miss her. My biggest regret is not finishing a novel before she died. But then again, it was in tribute to her that I finally forced myself to finish. And publish. Thanks for indulging me in the long post. Now, let's go visit Jeanne McDonald and see her post. Happy blog hopping this week everyone! You've been gifted with a superpower. Which would you choose, and why? This is so hard, because on any given day, there are a lot of things I'd like to be able to do. Is it cheating to have your superpower be the power to have any superpower? It is, isn't it? So I can't do that then. I suppose I could be selfish and make my super power all about me, getting more work done, being able to control time, be in two places at once. That would be fun. But who's benefiting there? Mainly me. And that doesn't seem so super. Okay. A true superpower should be able to help people. I've been on a Daredevil kick lately, but that doesn't mean I want to be blind and have amazing powers of hearing and echo-location. I also can't imagine being like Superman, because, well, that's a lot of pressure having to save the world all the time. Although I did just get a new pair of glasses and I think they're pretty cool. Argh. This is hard! Okay. I'm going to be totally wishy-washy here. I love people being nice to each other, and I love the environment. So maybe my superpower could be the ability to cast love spells, or at least tolerance spells over people so that we could stop fighting each other and put more effort into the things that really matter. Imagine if we didn't need a defence budget, or a war budget, and we could put all that money into research and development for cleaner, greener ways of living? Is that a superpower or a pipe dream? I'm not sure. But that's it. That's what I want to be. You can call me "LadyLove". Oh, and why not use the handy comment section to weigh in on what your superpower would be, and why! Now, I'm sure some of my RWW pals are going to have far better ideas than me. So let's go check it out, starting with the ever-wonderful Brenda Margriet. Oh my! Another month has passed and I've not been a part of the blog hop. Time to start making this a priority again, I think! Good thing I tossed a question into the ring a few months ago. It would be terrible not to answer my own question, wouldn't it? So here's what we're doing today. We're showing off the cast for our current work in progress, or most recent release. I don't think I've done any casting for my Forever Geek series, so today Evan, Jillian and all the Carew/Sharp crew get their day in the sun. He could be down on the beach in Juniper Cove right here. So now it seems my movie will be in black and white. This makes casting even harder. But I won't be denied. Let's move on to our heroine, and narrator, Jillian Carew. Jillian is a professor of Classics who has an eye for fashion and looking good. She's a high-society type of gal, used to the fine things in life. She's the polish to Evan's rough edges. At one point in Geek God, Evan says his brother thinks she looks like Anne Hathaway. Evan thinks she's more Zooey Deschanel. To me, she's neither. Evan loves her so he sees her playful nature, hence the Zooey reference. His brother is judging her from a head shot for the university, hence the Anne Hathaway comparison. But in my mind, Jillian has always been more like Krysten Ritter. She has the elegance of Hathaway, the playfulness of Deschanel, and an originality and attitude that's different. And there you have it. The two main characters of my Forever Geek trilogy. I couldn't find the supporting cast I needed, but really, Geek God, Geek Groom and Geek Dad are all about these two people. What else do we need? Now hop on over to the wonderful Veronica Forand to see who she's casting. I bet they sizzle! This was taken about ten minutes ago. It's my kitchen table. And it's not normally this pretty. It just happens that there was a tv crew here yesterday so the house is currently in a state of cleanliness that's only stayed this way because the wee one is at the sitter today. I write in my car on my iPad. I write in the TV room with broken toes iced with berries. Granted, this is a little unusual. But it's happened. And it proves I will write anywhere, at anytime. Ohhh. This is one of my favourite spots to write. I love writing in the woods. This is at my parents cabin. Interestingly, after I posted this photo on Facebook a year ago, they painted the deck. I sort of liked it like this. This is sort of cheating, since I wasn't writing the day I took this picture. However, this is one of my normal writing spots, and this is the view I have while I'm there. This is at our provincial museum, archives and art gallery. We call it The Rooms. I love it there. It's great for quiet writing. And it's awesome for letting toddlers run wild. And that's about it. If I've dashed your hopes of what a romance writer's space is like, fear not. The ever-wonderful Collette Cameron will deliver in spades. I'm a little ashamed that she is following me, because I know her writing space is so over-the-top romantic that it's going to make my willy-nillyness look even worse. I can only dream of a dedicated place to write. But when you're balancing a full time writing career with a busy toddler, well, you do what you can. Have a great day everyone! And make sure to make all the stop on the blog hop this week! Is it wrong that I'm giddy about today's post? Why, you ask? Because this week's question from the incomparable Brenda Margriet has posed a question that I adore: How do you choose the setting for your book? Does where you live inspire you? Does it? Ha. If this is your first time time my blog you won't know this, but I set all of my books in Newfoundland, which is where I live. I don't do this simply because it's a place I'm familiar with. I do it because I believe Newfoundland and Labrador is one of the most romantic places on Earth. I do it because I want the world to know what about a half a million of us know: That there's something different and magical and inspiring about this wind-swept coastline of ours. To say I'm a proud Newfoundlander is sort of like saying Richard Simmons likes tight shorts. I think both of our feelings go much deeper. But let's really dig into the why. Here are some essential things to know about this place. I'll start with a map so you know what I'm talking about. Newfoundland is that awesomely shaped island with a lot of black on it. Labrador, which is also part of our province, is the other awesomely shaped land to the north, also black. This black means that it is very sparsely populated. So the first thing you learn is that Newfoundland is big (about the size of California), and we have hardly any people here. (Our official population for the entire province, including Labrador is 500,000.) You can see that most of the people live on the coast, and the majority of those live all the way over on the east coast, near St. John's, which is our capital city. I grew up in St. John's. I now live about a half hour away. This means that we have a lot of undeveloped land, a lot of coastline, a lot of woods (which means a lot of wildlife) and a lot of room for the imagination. If you read Hard As Ice, there's a scene where Daphne and Jack drive from the west coast to the east coast. It takes them about 10 hours. It's a long drive from one end to the other. I loved writing that scene because it was a fun way to show distance here. Plus, they had some great dialogue. Let me share a snippet. It took another hour but when they picked Ida up from the hospital, Jack was sure she’d be comfortable in the spacious backseat of the brown Chev. That was before Daphne got on the open road. The woman drove like a demented race-car driver. At this rate they’d be home in five hours. He tried to bite his tongue but when she pulled out to pass three transport trucks, his nerves just couldn’t stand it any longer. “Then slow down.” He knew he’d raised his voice, but he’d never truly been this terrified in a car before. “Well, thank you for the driving lesson,” she said, her voice clipped. They’d left the eighteen-wheelers far behind, and she’d slowed to a hundred and twenty kilometres per hour. He’d feel better if she were going closer to one-ten. “Well, this isn’t Britain. It’s Newfoundland. And wide roads exist for a reason. So that we don’t crash into maniac foreign drivers.” He thought he smiled enough to show he wasn’t entirely serious. Although he was. Another scene that came from real life for me was in Against Her Rules. There's a part of the book where Elsie has taken Cam out in a boat onto the ocean so that he can sketch some seabirds.Here's what she does. Looming out of the water was a huge jagged rock, about the height of a ten-storey building. Overhead a myriad of birds swooped and crested in the wind. He hadn’t noticed the sound over the motor, but now it was all around them. A cacophony of the soft purring uurrr’s of turrs underlay the screeching of the herring gulls and a hundred more varieties of birds. It was both frightening and awe-inspiring at the same time. “Get ready for this,” she said, pulling a small white bucket out of the pack. The reek that came out of the bucket was putrid. “Fish guts,” she said, tossing them overboard. The first bird to spot the bait, a small puffin, dropped from the sky in a death-defying dive, plunging beneath the water, presumably spearing a treat as he dove. At least Cam hoped the poor thing did, given its tenacity. It was followed quickly by another, a gull this time, he thought. And then another and another until it was raining birds, and feathers. If one bird was lucky enough to have speared some food, another tried to steal it from its beak. It was awesome and terrifying all at once. This happens. It's happened to me. Quite often I go out fishing for cod with my Dad. On our way in from fishing, he'll start to clean the fist, tossing the offal into the water. Here's a photo of how the birds react to this disgusting buffet. That's my hubby steering the boat and my dad cleaning the fish. My editor was on this trip, and she took the photo. Trust me, when she was editing Against Her Rules, she didn't question that scene at all! I could go on forever about this place and how it inspires me. But I'd like for you to go visit all the other authors who are taking part in today's blog hop, so I'll stop here. Elizabeth Janette is next. I'm not sure where she's from, so let's go together and find out how she answered these questions! Ahhhh. Back in the good old RWW groove. I couldn't pass up the chance to take part in this week's blog hop because we are talking about first lines. Here's the challenge issued to us this week. Great Beginnings - A great opening line draws the reader in, makes them want to know more and compels them to read further. Share a great opening line, can be a classic or a more recent novel, tell us why you like it and then share the opening line to your newest WIP. This task was harder than it sounds. Oh sure, I could have googled famous first lines and stolen one there that seemed wonderful. But instead, I went to Amazon and started searching out some of my favourite books and authors to see which of them had a truly great first line. Ahhh, Gone with the Wind! You wonderful book you. Margaret Mitchell didn't disappoint. What gets me about this first line is that MM starts the book with the fundamental point of the story: Scarlett gets what she wants because men fall into her trap all to easily. I love it! A+ for hooking me at the start. Okay. Maybe the power of this first sentence is in what's revealed in the second, but still, it's a great first sentence. Short. Punchy. Makes the reader curious. This is from Jasper Fforde's awesome novel, The Eyre Affair. If you love books, love Jane Eyre, love Withering Heights, love Great Expectations, love fantasy, love Sci-fi, love romance, love reading awesomely imagined books, then get this one. It rocks! Isn't this a great one? I so desperately wanted to have a Terry Pratchett book make the cut, and right away I went for my very favourite one: Hogfather. And Mr. Pratchett never disappoints me. What a great first line this is. And it's a paragraph too. I know for a fact that I bought Hogfather because of this line. I can still remember standing in the bookstore with a stack of Discworld novels trying to decide which ones got to go home with me that day. Now, this book might have one anyhow because it stars my favourite of all Pratchett's characters (Death) but this is still a great line. So there you have it. My top three of the day. Of course the other part of this challenge was to look at my current WIP and share my opening line. Hmmmm. Perhaps I need to work on it a bit more. What do you think? Now make your way over to my friend and awesome author Xio Axelrod to see what she has to say. And for the record, her new release "The Callum" has a pretty wicked opening line itself. Here it is!